Michael Wilson Becerril, a doctoral candidate in politics, has been named a 2017-18 Jennings Randolph Peace Scholar. He is one of only 12 scholars selected out of a pool of 115 applicants for this prestigious national dissertation fellowship that recognizes students working in peace and conflict studies. The fellowship is offered by the U.S. Institute of Peace, an independent, nonpartisan Washington, D.C.-based organization established and funded by the U.S. Congress to promote international peace. Wilson Becerril studies resource conflicts in Peru, where he has conducted long-term, immersive fieldwork in four gold mining communities. His project is titled, "Gold Mining in Peru: Everyday Violence and the Politics of Attention." 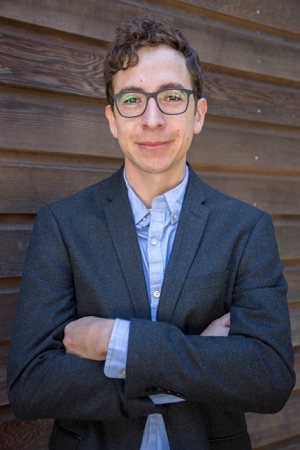 The fellowship will support Wilson Becerril's dissertation, which focuses on the processes through which conflicts become violent, as well as the dynamics that lead some individuals to eschew violence in the midst of conflict. Wilson Becerril also just completed a research fellowship with the Council on Hemispheric Affairs, as well as a Ph.D. fellowship at the International Center on Nonviolent Conflict. He earned a B.A. in political science and international politics with minors in anthropology, peace studies, and history from the University of Wisconsin Stevens Point in 2012; he is expected to graduate in June 2018.